Lawyers for people, not corporations. At Roboostoff & Kalkin we solve problems for people who have been taken advantage of by insurance companies. If you have been denied disability benefits or otherwise wronged by an insurance company, call us. When you call our office, you can expect to speak directly to an experienced attorney, not paralegals, assistants or other staff. Retaining Roboostoff & Kalkin means that you will work closely with one of our attorneys to find the best possible solution to your particular legal problem. At every stage of our representation, we will provide you with an honest assessment of your case. By carefully explaining how the law relates to your case, we allow you to make informed decisions as your case progresses. We are committed to personalized service with a focus on satisfying our client's needs expeditiously and efficiently. We have been practicing in San Francisco and throughout California for over twenty five years. We have been sucessfully representing people with disability claims in the Bay Area since 1988. Our clients work directly with their lawyer, not secretaries or paralegals, to insure the best possible outcome for their particular situation. The firm of Roboostoff & Kalkin, has more than 50 years of combined legal experience and provides first guidance to clients with long term disability benefit claims. Whether you have been denied benefits, had benefits terminated, or have other short or long term disability benefit issues, we have the experience with insurance claims and the law to assist you. We assist with a variety of needs relating to long term disability, such as: Claim preparation Explaining the Disability claim process Non-employment related (privately purchased) long term disability insurance Insurance bad faith litigation Other disability claim related matters Litigation in both the trial courts and courts of appeal. At Roboostoff & Kalkin we understand that our clients are coping with serious injuries, illnesses, or disabilities and their families have suddenly lost significant income. We recognize their need to obtain monthly long term disability income benefits to compensate for this devastation. Additionally, we understand how frustrating it is to face a claim system as difficult to navigate as the one mandated by ERISA's regulations. Our lawyers persoanlly strive to guide our clients through this process so that they are able to obtain the benefits they need and deserve. At Roboostoff & Kalkin we have always sought to level the playing field between insurance companies/ corporate America and individuals. We enjoy helping people who are truly deserving and working with their medical providers to present our clients' cases in the best possible light. Both Constantin Roboostoff and Scott Kalkin have been representing people with disabilities for over twenty five years. Both partners are former presidents of the San Francisco Trial Lawyers Association, have tried numerous cases in the trial courts, and litigated extensively in the courts of appeal. Both Scott Kalkin and Constantin Roboostoff have been inducted as Nothern California Super Lawyers. At Roboostoff & Kalkin we have chosen to keep our firm small in order to give our clients' cases the individual attention they expect and deserve. When you are represented by our firm you will deal directly with either Constantin Roboostoff or Scott Kalkin, not legal secretaries, assistants or paralegals. We enjoy working directly with our clients and beleive that this is the best way to insure we understand how to best serve their needs. In 2008 Mr. Kalkin was inducted as one of Northern California's Super Lawyers, www.superlawyers.com. He is also AV rated by Martindale Hubbell. 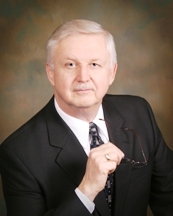 Constantin V. Roboostoff is "AV" rated by Martindale Hubbell and has tried a variety of cases in both State and Federal Court during his career of over 30 years. In 1988 he partnered with Scott Kalkin to establish the law firm of Roboostoff & Kalkin. The partnership's roots grew from a chance meeting in a martial arts class years earlier. At the time, Mr. Roboostoff was a senior partner in another firm where he specialized in personal injury, wrongful termination, insurance bad faith and legal malpractice. His practice at Roboostoff & Kalkin focuses on ERISA disputes, personal injury, wrongful death, wrongful termination, workplace harassment and discrimination, insurance bad faith, business disputes, and professional negligence.